“We get spammed with literally hundreds of ‘PSD to HTML’ and related articles each week and 99% of the time they are all low quality garbage and most are just looking for links and SEO value” – this is an excerpt from my conversation with the Editor of one of the popular news websites which features web design articles and resources. 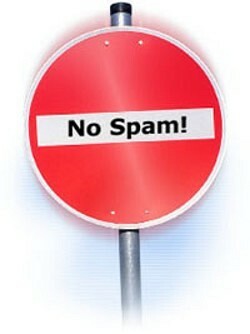 It’s no secret that spam is ubiquitous now. Besides inconvenience and annoyance, it also forms a negative image of companies involved in the process and – what is much worse – ruins reputation of the respective industry in whole. As a result, many web design blogs and news distribution services have simply added PSD-to-HTML companies and articles with the corresponding keywords in their spam filters. the origin: PSD-to-HTML Conversion as a Business – A New Fad or a New Market Need? (by the way, the above mentioned original article had been written 3 years ago, and since then it has been spun so many times that I’ve simply lost count). I’m ready to believe that the latter article is just a result of a coincidence of thoughts but such characteristic words as “proofread the converted files for mistakes” (compare with the original “proofread” resulting files for mistakes) suggest that it is not true. Is PSD to XHTML more powerful than PSD to HTML Conversion? Just no comment. Oh great and mighty Google, what you do with people and their sanity! They would write anything to get links with “right” keywords and anchor texts. But the problem is that such “articles” definitely witness that companies mentioned in the author resource boxes understand HTML/CSS coding and its role in the web development process in a very specific way. I wonder whether managers of such companies read the texts which are written for them by their content writers and/or SEO firms? Don’t get me wrong: there is no harm in writing new articles on such “eternal” themes as “The difference between HTML, XHTML and HTML5″, “How to select the right PSD to HTML services provider” and so forth because every single day there appear new web designers who need to learn about all these topics too. But I do believe that people involved in web design activities are smarty and creative and can compose interesting and useful articles which include fresh thoughts and facts, even when topics are trite or authors have to write for search engines too. As for the necessity to write only for search engines: the recent Google’s updates (aka Panda and Penguin) are definitely aimed at clearing the search results from low quality content and webspam. They hit a whole bunch of websites which heavily count on writing excessively SEO oriented or software generated articles. However, in their current form Panda and Penguin can strike against only a limited number of spam techniques. Article marketing is still actively used to affect the search engines, and at the moment they still fall into this trap: some of the companies which continue to regularly produce garbage articles are ranking quite well in Google. Nevertheless, Google is serious about improving its ranking algorithm. 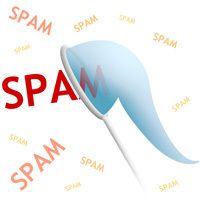 Changes rolled out during the past year and the first months of 2012 give hope that at least the most obvious spam methods would become useless and be on the scrap heap. Of course, not all PSD to HTML companies stick to the above mentioned ways to gain popularity and additional search traffic. There are enough providers who write instructive and helpful blog posts, articles and tutorials. Hope that only these companies personify the PSD to HTML industry in the eyes of the web design community.